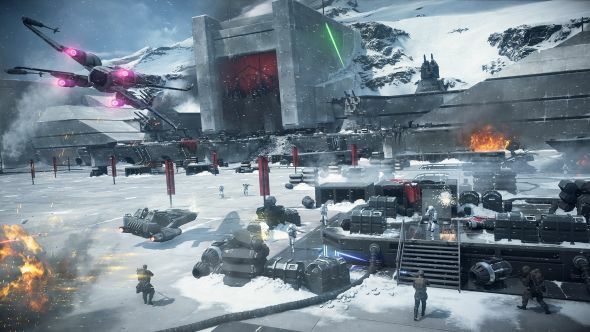 After what will go down in history as one of the rockiest launches of all time, Battlefront 2 is still receiving tweaks and fixes for its altered systems. Eventually going live with no microtransactions at all, it was originally said that they would return – however a new quote from EA chief financial officer Blake Jorgensen suggests they’re reconsidering that too. Here are the best FPS games ever made, some of which you only have to pay for once. “Over time we’ll address how we will want to bring the MTX either into the game or not and what form we will decide to bring it into,” Jorgensen explained during a NASDAQ investor conference. He didn’t elaborate any further according to Glixel, but clearly the topic is more up for debate at EA HQ than people may have assumed. The subreddit, where much of the drama of the past couple of weeks was centered, has significantly calmed down, and is also much less busy than it was while the fires were roaring. While it’s not without complaint threads, most folks seem to have either moved on or decided to enjoy the game in its current state. A new season of content kicks off next week on December 13, with new single-player missions to finish off Iden’s story (spoilers for the main game in the below trailer) and a map based on The Last Jedi.